With every passing year since her death in 1990, more people are recognizing Sister Thea Bowman as one of the most inspiring figures in American Catholic history. This granddaughter of slaves became Catholic on her own initiative at the age of nine. As a Franciscan sister, she lived a wide-ranging ministry of joy, music, and justice. Now Father Maurice Nutt offers a new biography of Sister Thea that introduces her and sheds new light on who she was. Drawing on careful research and the insights of people who were close to her, Nutt explores her personality, her passion, her mission, and her prayer. 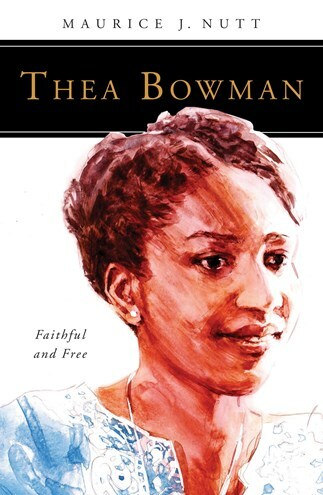 He captures Thea Bowman as she was: an unapologetically African American woman, a religious sister who deeply loved God and the people to whom she ministered through teaching, preaching, and singing, and who embraced the blessing of her ancestry, the wisdom of the "old folks," and a passion for justice and equality for all God's children. Maurice J. Nutt, CSsR, holds a doctor of ministry degree in preaching from Aquinas Institute of Theology. He is a noted retreat, revival, and parish mission preacher both nationally and internationally. He is a former director of the Institute for Black Catholic Studies at Xavier University of Louisiana. He is the convener of the Black Catholic Theological Symposium. Father Nutt serves as the Diocesan Liaison of the Cause for Canonization of Sister Thea Bowman, FSPA, for the Diocese of Jackson. When Sister Thea was asked what she understood her vocation to be about, she confidently replied, "I'm a teacher." Hers was a lifetime of education, growing into the incredible person of faith God called her to be. Maurice Nutt masterfully presents the uncompromising message and unsurpassable life of Thea Bowman, his professor and friend. Looking to learn from life's teachable moments? Let Thea's class begin!